Light Bulbs-Which do I use? Types, Payback - Stuart M. Jones Custom Homes, INC. So what is all this about changing regular light bulbs to LEDs? How do you pick one out and even know what you should be buying? You need to know about Lumens, Color, and payback to make your decision. This info should help. I compared Watts to Lumens, which is now on all packages. This will tell you how bright a bulb is in terms of the “wattage” we have used in the past. The next decision is the “color” of the bulb, which you probably never thought of it before. It is measured in Kelvin, which is a temperature scale like Fahrenheit or Celsius. An incandescent bulb’s “color” (The kind we have used for years that “Ben” invented) is close to 2700 Kelvin, kind of a yellowish tint to it. The higher the number the more pure white it gets, or the “cooler” it is (Offices are typically more “white/cool”). Most people want to buy a bulb as close to 2700K as possible, to mimic the yellowish tint. Most LEDs produced for home use are in the 3000-3500 Kelvin range. 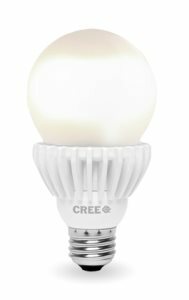 When should I spend the money on the LED bulbs? LED bulbs are more efficient than the incandescent style that has been around since Mr. Edison. The more you use a bulb, the faster the return on the initial high cost. I have not put them in my closets or shower since I just have the bulbs on for a few minutes a day. But if you leave a light on for hours, it does make sense! eg in the evening we have lights on in the kitchen and family room for 6 hours. Or, if you have a hard to reach bulb location, like many of those two story rooms we have built over the past 30 years. Get the electrician to install them. Annual average energy cost/year. 2 hours/day, using a 60 watt bulb. If you leave some lights on all evening, say 6 hours, then you would have a savings of about $12/year therefore the payback might be 3 years dependent on the initial cost. The life span of LEDs is 20-30,000 hours. Pretty good investment!